Small bathrooms present a challenge with bathroom design but that’s not to say that you can’t have a fabulous bathroom with big designs on… design! 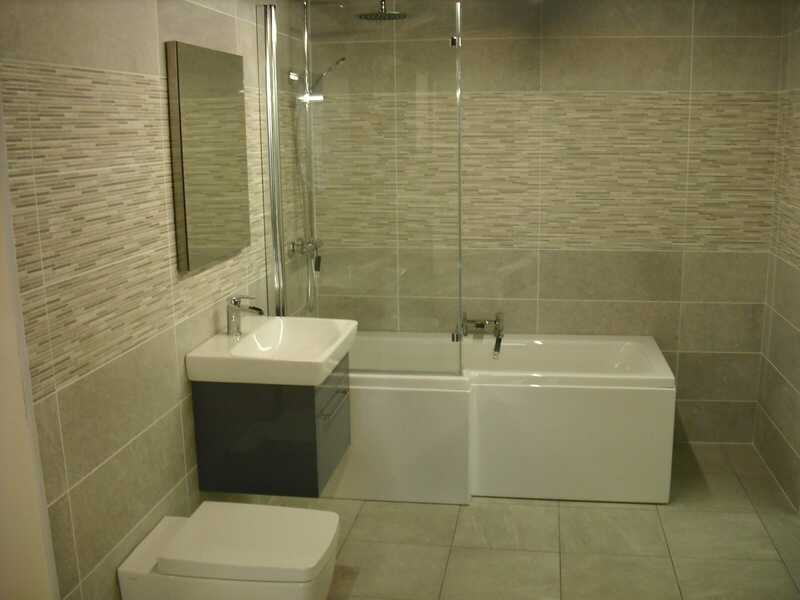 A small bathroom (unless you can extend and knock through) will need some thought on the layout and design. 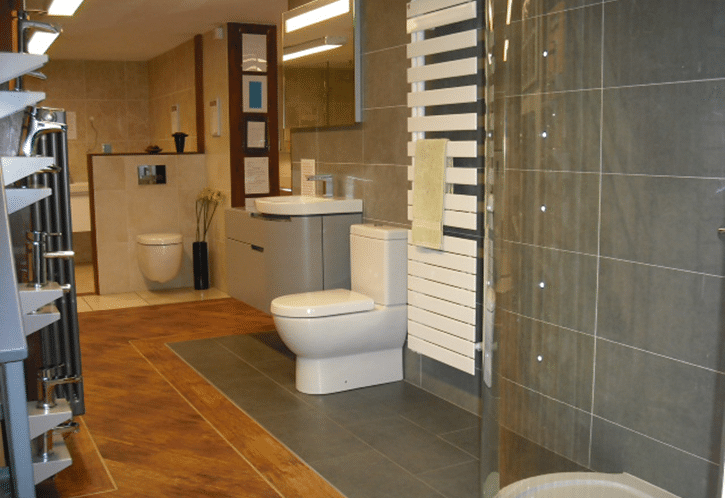 From styles to colours, you can really make or break your look, feel and usability of your bathroom. 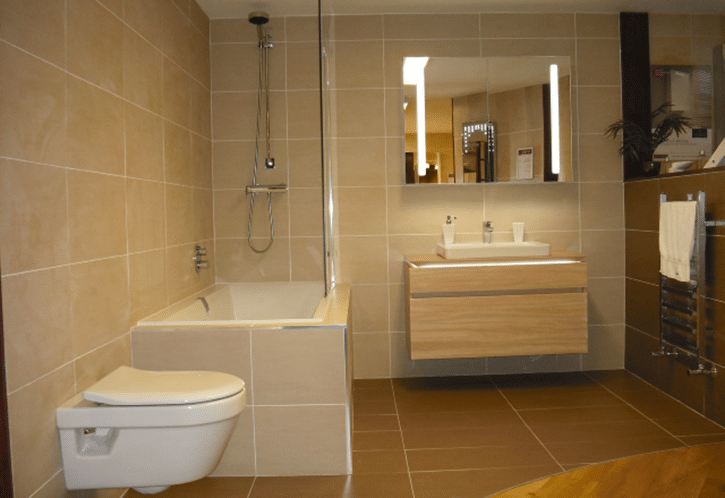 We work with this conundrum a lot so thought we’d share some more tips on designing the perfect small bathroom. 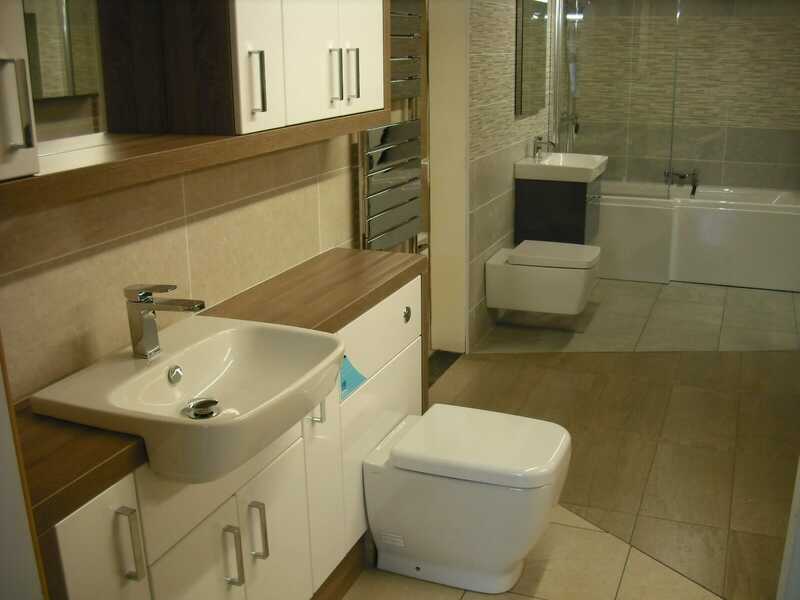 There’s no doubt about it, storage is going to be a big factor with your small bathroom. Getting all your accessories, products and other items stored and tidy is a challenge. A vanity unit is a good answer here. Cupboard and storage under your sink makes use of dead space in your bathroom and also keeps it clean and tidy, so it’s worth considering. Using smaller light could be an answer in your small bathroom. One big overpowering light or a big feature could well be too much in a small room. Adding lots of smaller spotlights will add better light but also give an illusion of space. It’s also on trend to use spotlights. 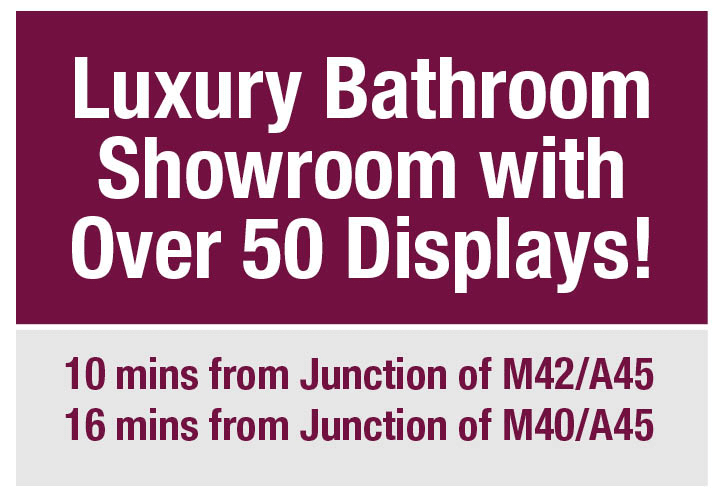 You could further this with feature lighting at the bottom of your units or bath – just keep them small! Covering your floor with anything will take up space and make your room feel cramped and that goes for cupboards and storage. Mounting your storage on the walls helps you to tap into the often untapped reserve of height! Getting storage up and high might well be the answer to your cramped and cluttered small bathroom. Consider buying long, tall units including perhaps a corner unit to keep it all out of the way. Getting mirrors into your small rooms (not just bathrooms) is a tried and tested way to get more space… or at least the illusion of space. A bath shower won’t save you space like the above example but it will save you having both shower and bath as a separate option. 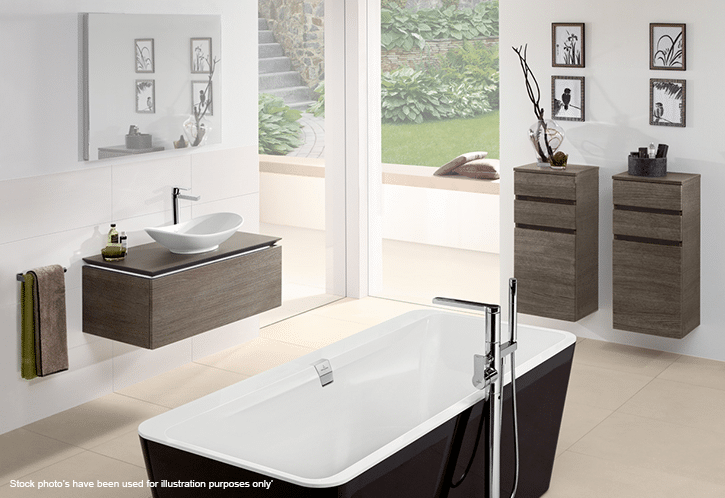 It’s the perfect compromise for the home tight on space that needs both a bath and a shower. Make sure you can see through your water shield! A traditional curtain will mostly close in on your room and make it feel really small, sometimes half as small. The material curtains also tend to go mouldy and can cling to your skin, which can be unpleasant and cold! A glass screen will be more costly but it will allow you to see further into the room and give your bathroom more space visually. You could opt for frosted glass if you’d prefer some privacy within the bathroom itself. You could opt for frosted glass if you’d prefer some privacy within the bathroom itself but it will (like the shower curtain) reduce your view so make the room feel a little smaller. They also do some screens with mirrors on the outside, although we can’t think of anything worse than the shock of that view in the mirror each day! It’s a well-known fact that light is the power behind creating space. Natural light does wonders for creating space and making a room feel… roomy! So use your walls to reflect the light along with your mirrors. Bright and shiny ceramic tiles will help to reflect the light and bounce it around the room making it feel brighter. If you have some good natural light then this will work wonderfully together. You could even opt for a high gloss panel for an ultra-modern look. Sounds odd, but making the floor so much darker than the walls will add some space to your design. The stark contrast will almost push your walls back and give you more space visually whilst helping the floor to almost disappear into the design, but framing it perfectly too. Keeping your room from feeling too small doesn’t mean knocking the walls down. It’s sometimes the best option, but might not be one that you have. So make the most of what you have and use clever design that adds space and style. 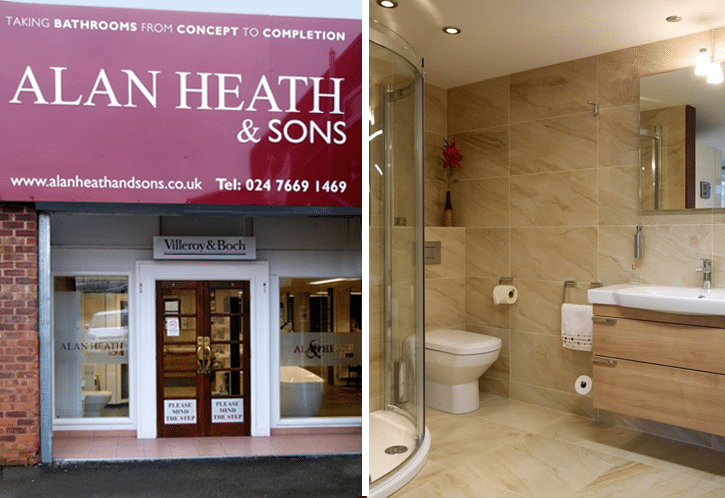 If you’d like more advice on making the most of what you have then drop us a line or come and visit us in our Warwickshire bathroom showroom for more bathroom ideas and inspiration.